click on the article title to read full article. 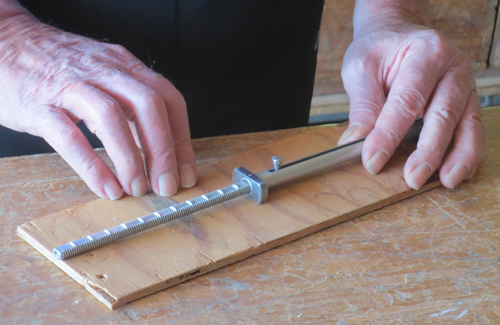 How do you drill a perfectly straight and accurate hole using a handheld drill? You use a jig. Recently, while building a Shaker writing table, I needed to drill dowel holes in the front faces of my table's legs, after the table was fully assembled. I recently had to make a couple of raised panel doors for a project I was building. I had never done it before so I thought I would share what I learned. Maybe it will help someone else or at the very least help them not make as many mistakes as I did.